Tens of thousands of solar households in Adelaide and across South Australia could be in for a bit of a shock when their electricity bills start arriving after September. South Australia has several solar feed in tariff programs; with the first incentives being particularly generous in how they rewarded early adopters of solar panels. For one group, Group 4, the rate of 16c per kilowatt hour for surplus electricity exported will end September 30. This group will then be switched to the standard feed-in rate, which is currently 6.8c per kilowatt hour. Group 4 consists of participants who received grid connection approval between 1 October 2011 and 30 September 2013, and who had an import/export meter installed by midnight 29 January 2014. A drop of nearly 10c per kilowatt hour is something that will certainly be noticed; particularly on the bills of those whose bulk of solar electricity production is exported. Solar provider Energy Matters has published a short guide for Group 4 participants on how they can make the most of their solar power system in a lower feed-in tariff scenario. The change to solar feed in tariff structure may have some participants more seriously considering installing a battery system in order to make better use of their valuable solar electricity and to increase their energy independence. Others might contemplate upgrading their systems given the price of solar components has dropped significantly since 2013 and average system sizes are now far larger. South Australians wanting advice on various options available to them can contact Energy Matters’ solar experts on 133-SUN. Across the border in New South Wales it’s a similar story, but with potentially a more significant financial impact in many cases. The NSW Solar Bonus Scheme pays early adopters a premium solar feed in tariff rate of either 60c or 20c per kilowatt hour for all electricity generated. Those rates will cease at the end of this year. Energy Matters says this could have a negative impact of up to $2,400 a year on those who don’t take appropriate action. 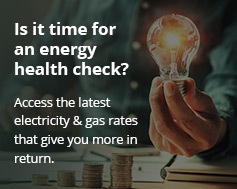 Energy Matters has also published a guide specifically for NSW Solar Bonus Scheme participants to help them understand the issues and actions they should consider taking.